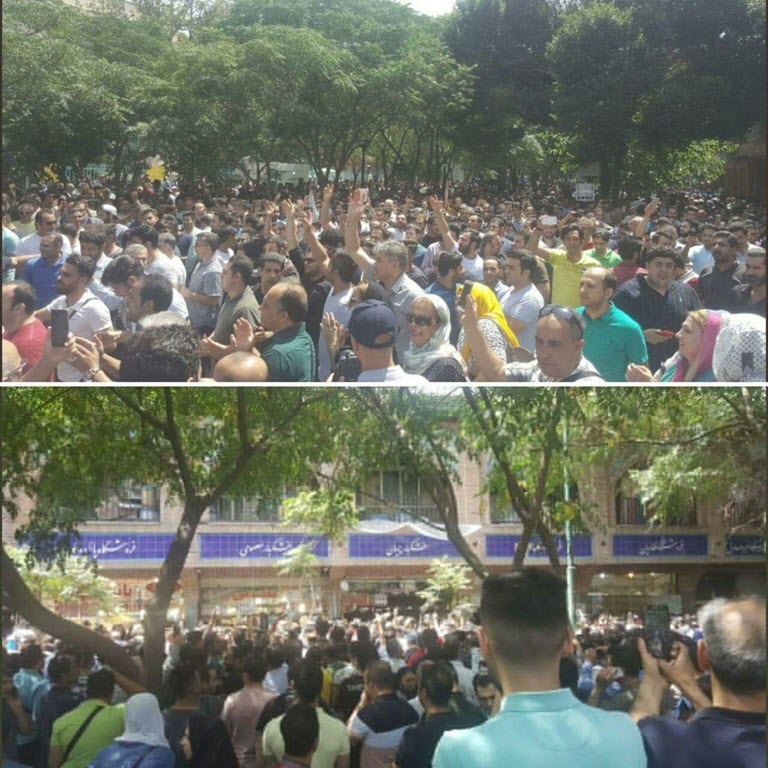 The protests that started on Monday over currency rate crisis in Tehran erupted once again and spread to various cities across Iran. 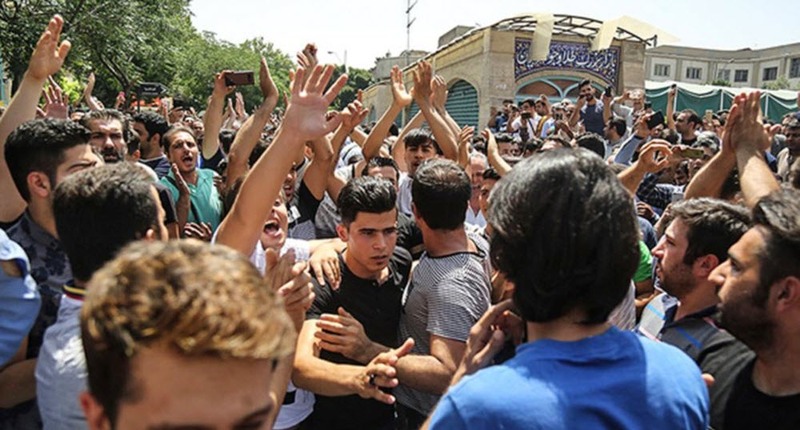 Uprising has now spread to various cities such as Bandar Abbas, Shahriar, Karaj, Kashan, Qeshm, Shiraz, Kermanshah, and Mashhad. 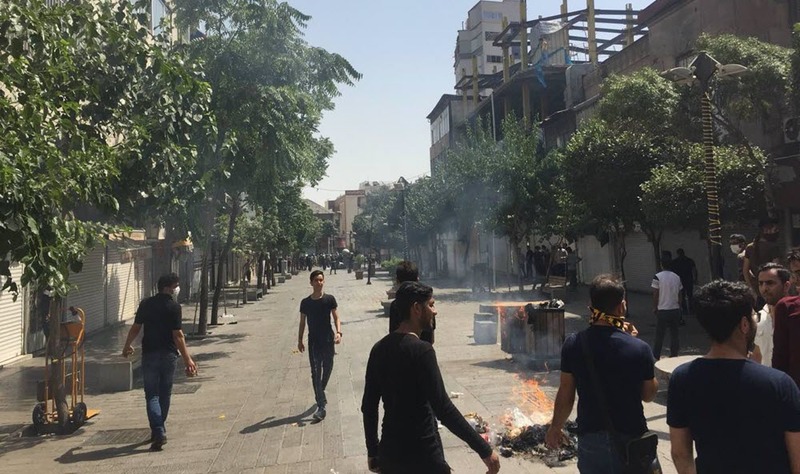 Demonstrations in Bandar Abbas and a number of other cities turned into a clash and protesters burned tires for neutralizing tear gases fired by the regime’s repressive agents. The repressive forces attacked the protesters in different parts of the city and sought to disperse them by shooting into the air and firing tear gas. Brave youths and people defended themselves by throwing stones and bricks at the regime’s mercenaries and shooting back the tear gases that were fired at them by the repressive forces . 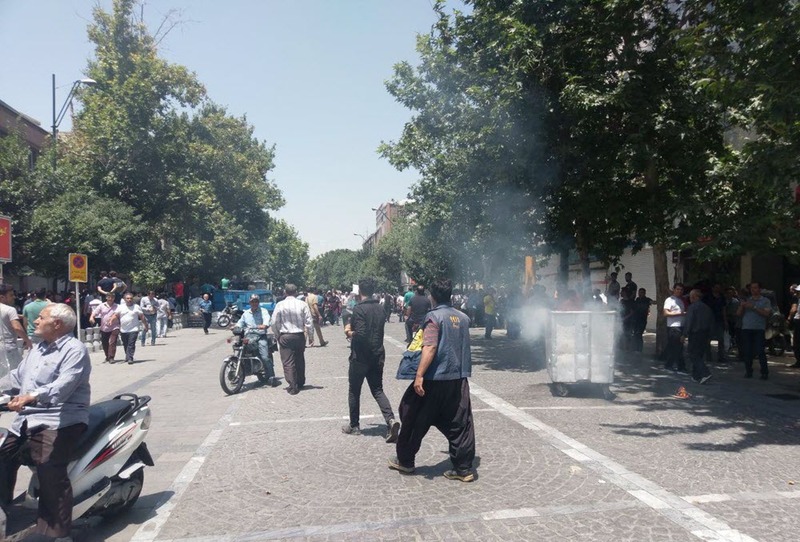 People also set fire to the mercenaries’ motorcycles and trash bins to block the repressive forces in front of the regime’s parliament in Baharestan Square, in Istanbul intersection and in Ferdowsi Street. A young boy suffered a stroke due to the severity of the blows to his head by the riot guard mercenaries. A number of attackers were punished and a number of police kiosks and motorcycles of riot police were also set on fire. 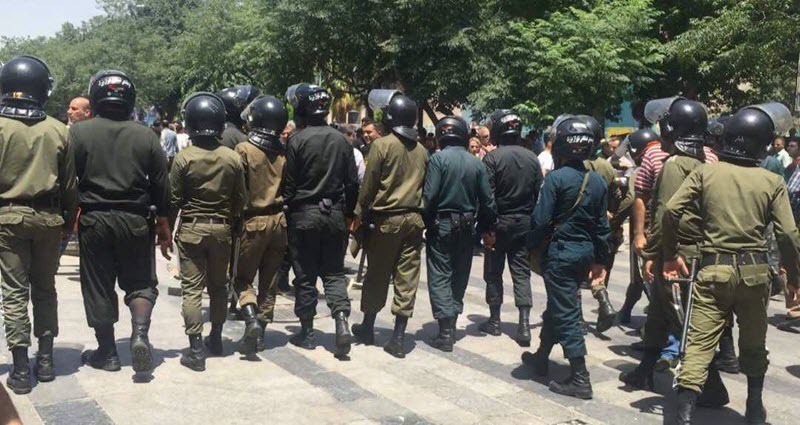 Mrs. Maryam Rajavi, President-elect of the Iranian Resistance, saluted the uprising of Bazaar merchants and the youths in Tehran and various cities, and called on all the people throughout the country to support the Bazaar merchants and the demonstrators.